This is the last article in the series (7) of assessing economic development of Sri Lanka since 1950s on the basis of selected macroeconomic indicators representing national production, labour market, fiscal sector, financial sector, foreign sector, distribution and governance. As per those indicators, macroeconomic development story is not encouraging. Articles also outlined required policy directions to drive the economic development for the next generation. This article presents a quick summary to those who wish to strategize the country’s economic development in the next decade. Economic Growth: The growth of national production or GDP has been low around 4%-6%. The average growth 1951-2017 is 4.5%. Therefore, the growth has been poor to improve income and living standards of people. Income: Monthly per capita income in 2017 is Rs. 51,600, i.e., 1,098 times the income in 1952 (Rs. 47). However, per capita income in real terms (valued at 1952 consumer prices) increased only by 8 times to Rs. 430 in 2017 since 1952. In US dollar terms, it has increased from US$ 4 to US$ 339. Therefore, real income growth has been highly poor to improve living standards. Inflation: Average annual inflation (as measured by the cost of living/consumer prices) in 1952 to 2017 is 7.6%, despite highly subsidized cost of living. High cost of living is reflective of the low growth of supply/production side. Investments: The ratio of investments to GDP has grown considerably indicating the enhanced production capacity. However, as such investments could not promote a high level of economic growth, productivity of investments is a concern. The wide gap between investments and domestic savings also remaiwns (overall 7% of GDP) requiring foreign capital/savings to fund investments. The considerable reduction in unemployment from around 16% of labour force to 4.5% is not justified by low economic growth. Wage increase has been considerable as shown by wage indices (an increase of 230 times for government wages and 182 times for wage board trades). However, the increase in real wages (adjusted for increase in consumer prices/cost of living index - 1952=100) has been marginal, one to two times (see Tables 3 and 4). High budget deficit funded by debt has been instrumental in managing the economy. Overall deficit of 7% of GDP has caused an overall debt ratio of 70% (see Table 2). However, both deficit and debt in real terms (based on consumer prices) seem less concerned as compared to nominal/monetary terms. For example, the deficit and debt in real terms rose only by Rs. 7 bn and Rs. 97 bn, respectively, between 1952 and 2017 as compared to corresponding increases in nominal terms by Rs. 733 bn and Rs. 10 trillion, respectively. Therefore, the fiscal growth has been largely driven by high inflation. Deficit and debt are economically favourable if they are managed with productivity and sustainability, both of which have not been assessed. Enormous difficulties in debt servicing are indicative of poor debt management on both productivity and sustainability which raise concerns on fiscal discipline. Therefore, the feasibility of management of the economy (open) through government debt has to be justified. The country’s poor competitiveness and productivity as compared to peer/trade partner countries is reflective of chronic current account deficit (goods, services, factor income and remittances) in the BOP, unmanageable currency depreciation and debt-financed foreign reserve, all of which reflect high vulnerability of the international stability of the economy (see Table 2). Current Account: Overall trade deficit (exports less imports) of 7.2% of GDP and current account deficit of 3.5% of GDP along with low economic growth and real income are indicative of unproductive foreign capital inflow. The excessive current account deficits (7%-15% of GDP) funded through foreign capital in post-liberalized 1980s also have not created a strong economy. Foreign Reserve: The foreign reserve has been favourable around 2-4 times the current account deficit, but highly inadequate to finance repayment/outflow of foreign capital. Therefore, government foreign borrowing that finances the reserve finally manages the open economy of the country. 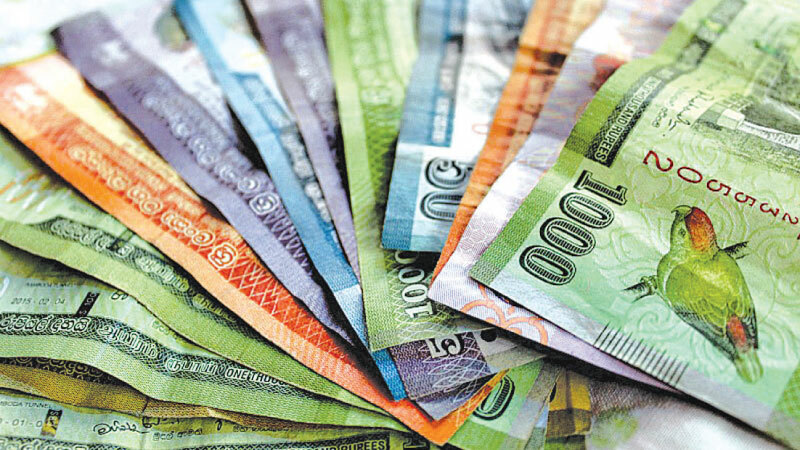 Exchange Rate: The currency has depreciated from the exchange rate of Rs. 15.56 per US$ as at end of 1977 to Rs. 182.71 as at end of 2018. This is a depreciation of 1,074%, which is 26% on average a year. As such a high depreciation has not improved the domestic competitiveness as yet, its adverse effects on cost of production and prices are enormous and undisputed. Financial sector is highly cyclical based on arbitrary monetary and financial regulatory policies for control of credit and interest rates which have not been aligned to overall and sectoral development of the economy. Therefore, real growth of economy has been poor, despite the national monetary policy mandate. The low credit leverage ratio of credit to GDP shows the space available for credit expansion to facilitate the growth of the economy (see Table 2). Therefore, the financial sector is an essential policy variable to develop the economy. The rising growth of services sector replacing the agriculture sector, high unemployment among women, youth and educated persons and low growth of income among lower income groups is causing concerns on income inequality are reflective of salient distributional disparities (see Tables 4 and 5). However, improvement in consumption pattern from food to non-food covering consumer durables, technology, motor vehicles and improvement in housing/residential conditions are indicative of a favourable distribution of development (see Table 6). This improvement in living standards is a story not consistent with low growth of real income. The governance in both private sector and public sector has not been geared for creation of real value or productivity. Ineffective boards, conflict of interest, creative accounting and financial scandals are the major governance problems that have prevented real value creation and caused corruption. It is not a secret that the state economic management bureaucracy or public service, i.e., state enterprises, fiscal policy and regulations, is not business-friendly. Therefore, the growth, distribution and stability of the economy remain weaker. Leading macroeconomic indicators outlined as above (based on 7 articles) largely show a general stagflation in the economy and the need for a fast-track development drive to arrest it. There is no debate that living conditions have improved largely facilitated by the economy managed through the fiscal front. The issue is whether economic conditions of the public and production system of the country have improved as compared to peer countries, given long 70 years of post-independence. There is no debate that the economy has to emerge through increased productivity and competitiveness at the global value chain. However, we all know the inefficiency in economic governance system. Therefore, political parties who seek to win the public mandate should present an economic governance model for at least next decade for public votes. They all have leading economists and professionals who know the ground conditions of the general public to design the model. The ruling party has the benefit of all official experts and data. Word-twisting and ideological policy statements do not serve this. The new model should stipulate a plan of annual economic targets based on leading economic indicators and specific policy agenda to deliver those targets. This may be called as “national economic innovation plan.” The use of words “Economic Reforms” on IMF/World Bank version cannot get the message across the public. When the “Tax Reform Bill of 2017” drafted to implement the tax cut policy in the US was presented to the President Donald Trump, he responded that that nobody understands “reform” and changed it as “Tax Cuts and Job Bill of 2017”. The message to the public was clear. Then, there will be a national discussion at forthcoming elections. The wining party gets the public mandate with accountability to implement the plan. This will eliminate ad-hoc policies. The team of experts who designed it with national interests (unlike present National Economic Council) should be held responsible for implementing it. As this is a national problem solution, any foreign or duel citizens will not be required in the team as their motive in Sri Lanka is only to enjoy national authority and privileges that they do not earn elsewhere. Establishing an independent and reliable system for national economic data compilation, reporting and ware housing to monitor the progress on macroeconomic targets in transparent manner. This approach will deliver national economic democracy to the public in place of the disputed political democracy set out in the Constitution. The public will vote for the economic governance system to improve their living standards through globally competitive economic activities. Also, this also will preserve economic rights of the public stipulated in the Constitution. 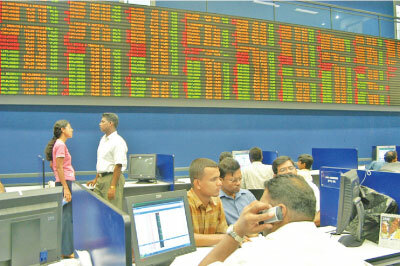 Otherwise, the national cost of poor management of the economy will be the periodical up-rises of social groups and resulting political instabilities that we all have experienced, not only in Sri Lanka but also in many countries, which will push the country further to the corner in the world in next 70 years. However, the country will not collapse even if the government defaults eventually as there is a global network of unlawful businesses of laundering of money, drugs and people in the world that any country can join to survive.